/EINPresswire.com/ -- BOCA RATON, FL--(Marketwired - December 12, 2017) - Some of Florida's most talented high school graduates accepted into Florida Atlantic University (FAU) will never be the first in their families to step foot on to campus. Not because they lack the desire or are unwilling to work hard for a college education, but simply because they cannot afford it. 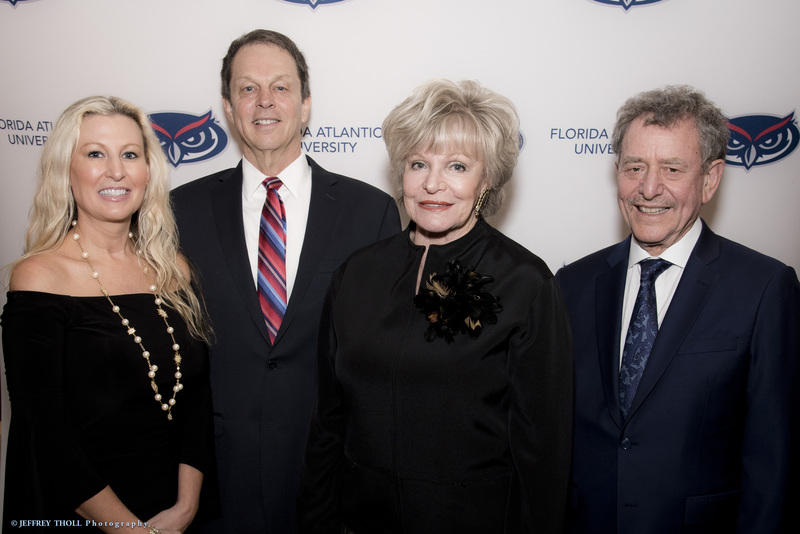 FAU President John Kelly and First Lady Carolyn Kelly, along with Boca Raton philanthropists Aubrey and Sally Strul, have teamed to create The Kelly/Strul Emerging Scholars Program at FAU to provide financial resources and individual support to first generation, low-income undergraduate students. FAU has received a gift of $1 million from Aubrey and Sally Strul for the initial investment to start the program. "By supporting low-income, first-generation undergraduate students, the program will help Florida families rise out of economic hardships and make it possible for talented young people to reach their promise, improve communities and create a strong workforce," said Aubrey Strul. "I was the first in my family to attend college and feel fortunate to have attended the University of the Witwatersrand in Johannesburg, South Africa. This experience has led to a successful and fulfilling life and I feel inspired to help young people receive these same opportunities." An investment of $50,000 per student, representing $12,500 per year for four years, will ensure that students can attain their FAU degree within four years, free from financial worry and with the ability to devote themselves fully and successfully to academic and co-curricular achievements. "The Program will help students develop valuable college success strategies, build confidence, understand their first-generation identity, connect to peer and professional mentors and access campus resources which prepare them for a successful college career and meaningful post-graduated life," said FAU President John Kelly. The Emerging Scholar Program will help students with each step of the college process, from acceptance into FAU, to orientation, mentoring, housing, achieving financial literacy, embracing Owl pride, planning a career, joining student organizations, becoming a mentor, becoming an intern, preparing for graduation, and finally, giving back. "I love FAU and am so thrilled to live on campus and get involved with the school. The mentor has been helpful in guiding me and keeping me on track and I'm excited to serve as a mentor to future scholars," said Ms. Jean-Louis. "I was accepted into both FAU and the University of Florida but the scholarship made selecting FAU a no-brainer. I'm so happy and grateful to be here."